In 1973 STA-LOK introduced a new design of swageless wire rope terminal which so simplified the termination of wire rope that it became essential equipment for both the amateur and professional rigger. Thirty years on, the STA-LOK self fit is used by professionals around the world, and has gained world-wide recognition for high quality and total reliability. 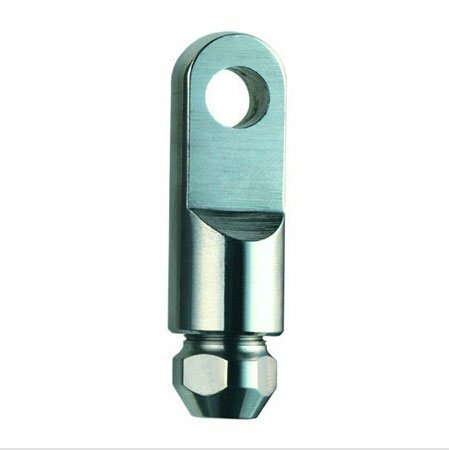 STA-LOK swageless rigging terminals are a range of high quality high performance wire rope fittings for 1 x 19, 7 x 7, 7 x 19, compacted and compact strand wire ropes. Suitable for both right hand and left hand lay constructions. The STA-LOK system is a simple mechanical method of terminating wire ropes, and has proven itself to be the most efficient method of terminating wire ropes. The terminal consists of an assembly of four components, which can be fitted on site using very simple hand tools.